After my trip to Costa Rica last year, I knew that I’d soon visit its northern neighbor. 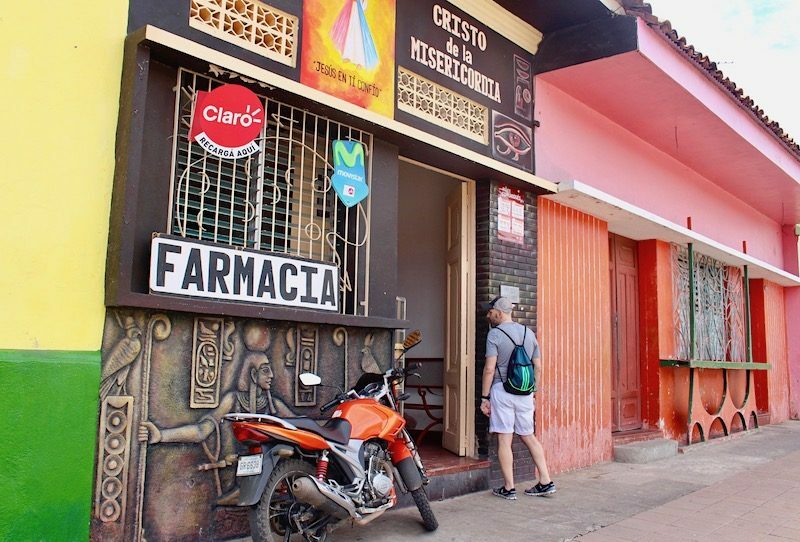 I had heard great things about Nicaragua from one of my guides in Tamarindo and started thinking about a visit months before I planned it. 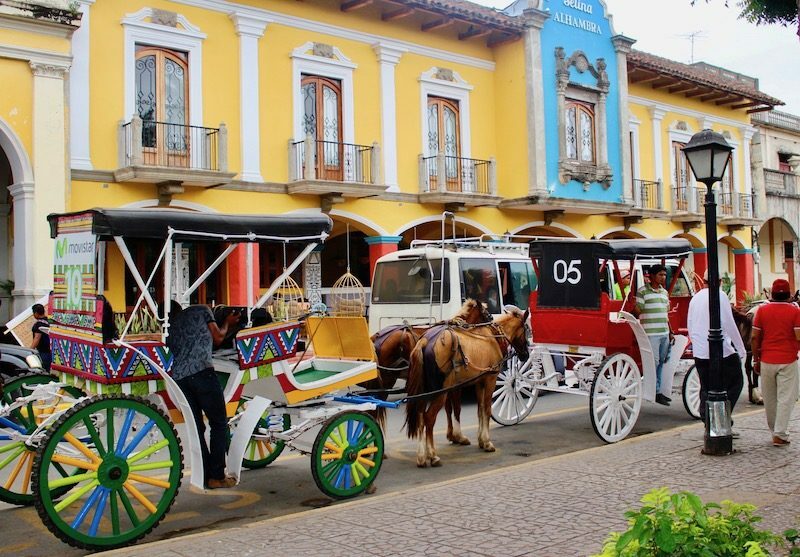 One thing that attracted me to Granada, Nicaragua, in particular, was the notion of fewer tourists than some other Latin American cities. Yes, I am a tourist, and I have nothing against mingling with other tourists, but I do love traveling to places that are a little more under the radar. The tourist numbers, however, are steadily climbing in Granada and will continue to grow. 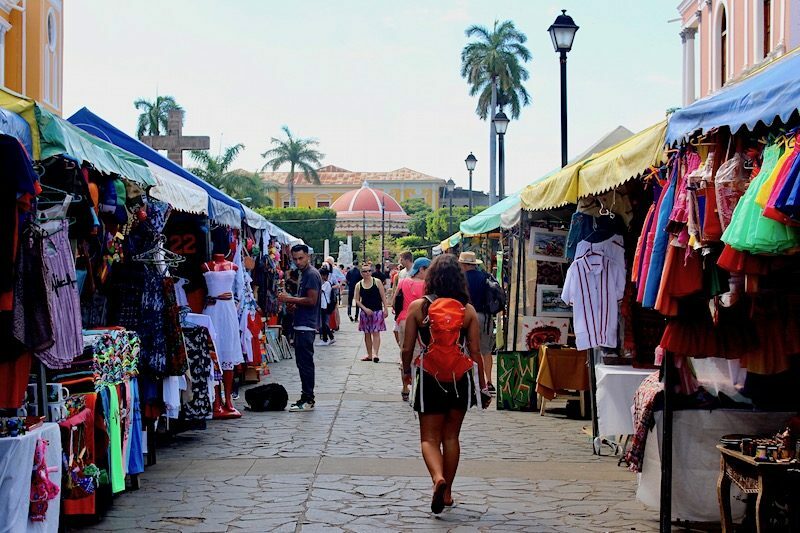 Know that traveling in Nicaragua is not like traveling to the least visited Latin American countries like Suriname or Bolivia. That said, there’s a lower number of international visitors in Granada and Nicaragua as a whole than in Costa Rica. 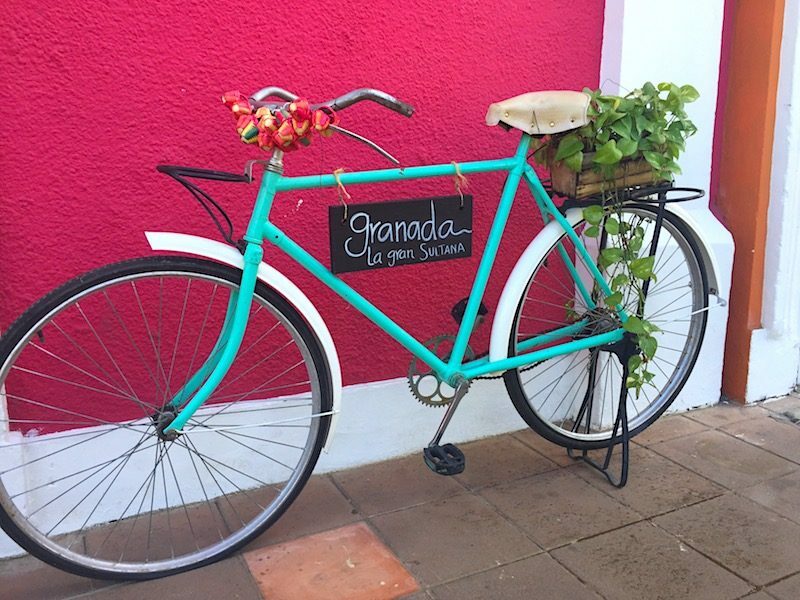 Why visit Granada? 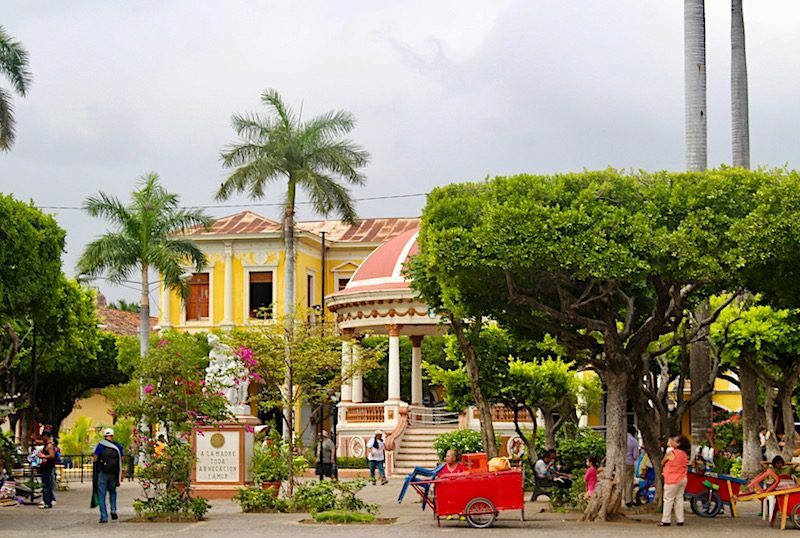 Granada, Nicaragua is a strikingly beautiful colonial city with welcoming locals, fantastic food, and a plethora of outdoor activities nearby for nature lovers. That means you won’t run out of things to see, do, or eat in the city or outside. 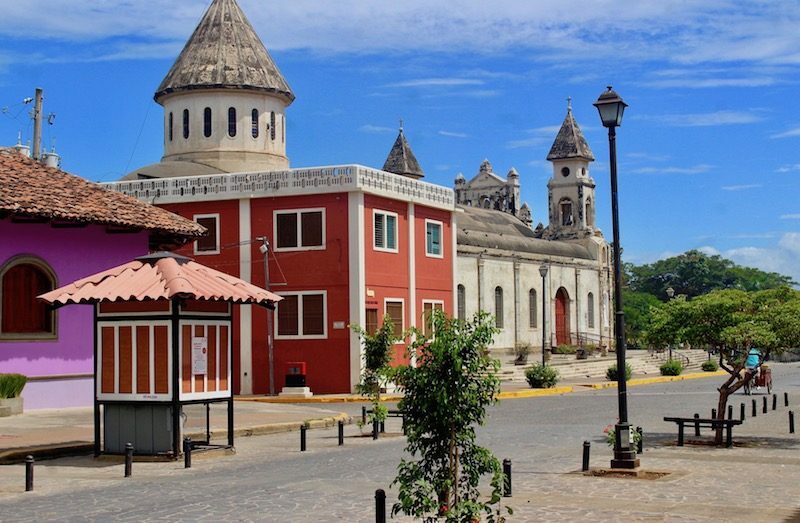 Plus, because of its location, day trips to other towns are easy, making Granada an excellent base for getting around the southwestern section of the country. I hope the pictures in this post transport you to Granada as well as the countryside that surrounds it. 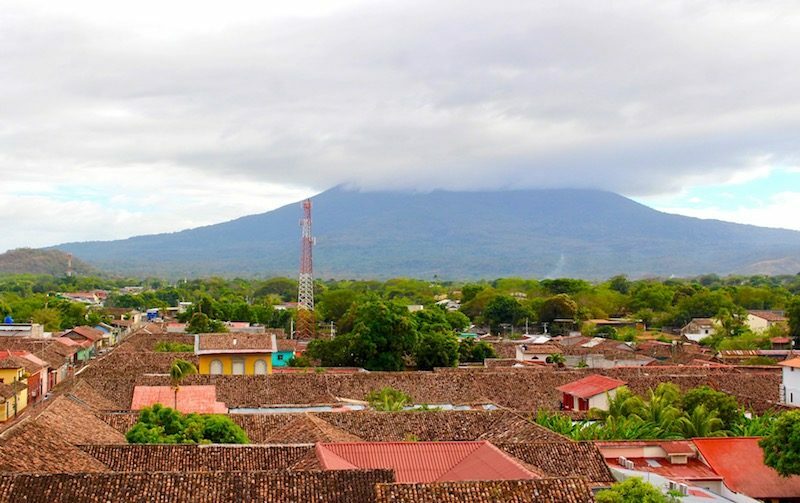 Here are 19 photos that will (hopefully) inspire you to travel to Granada, Nicaragua. I shot this photo on my way to Central Park, the central square in the historic district. 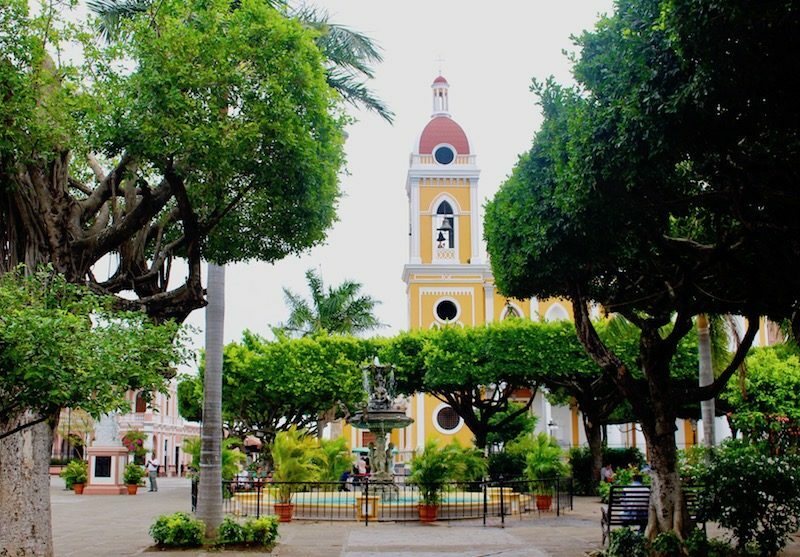 The yellow Neoclassical church on the east side of the park is one that you’ll see in many photos of Granada. It’s appropriately named too: The Granada Cathedral (also called Our Lady of the Assumption). Here’s the side of the Cathedral of Granada at the edge of Central Park, as well as a local selling hats. Notice all the hats he’s carrying around, many of which sit on his head! Here’s an overall view of the park and Nicas going about their day. Horses and carriages line up along the park’s edge waiting for tourists. You can see how colorful this town is. 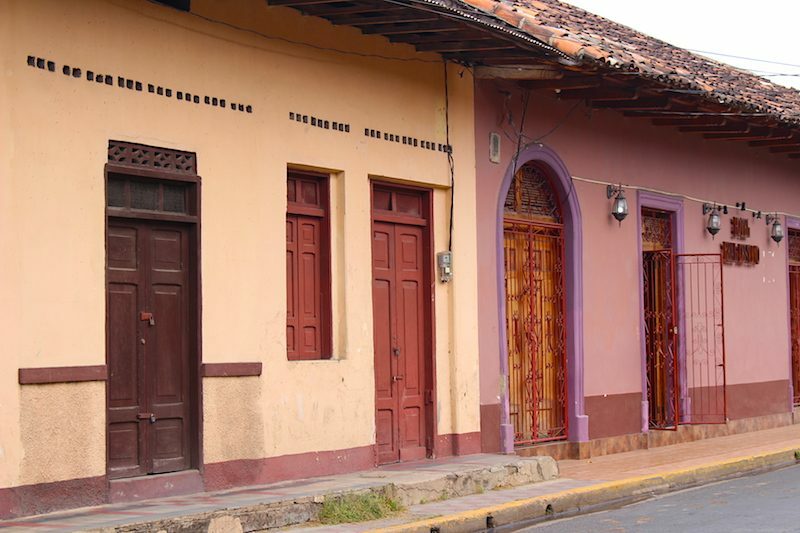 With the medley of the bold colors, it nearly impossible to feel unhappy when in Granada. I took this photo along Calle La Calzada. This is the main drag with tons of shops, eateries, and bars. I also want to mention that many Nicas use horses rather than cars as transportation. 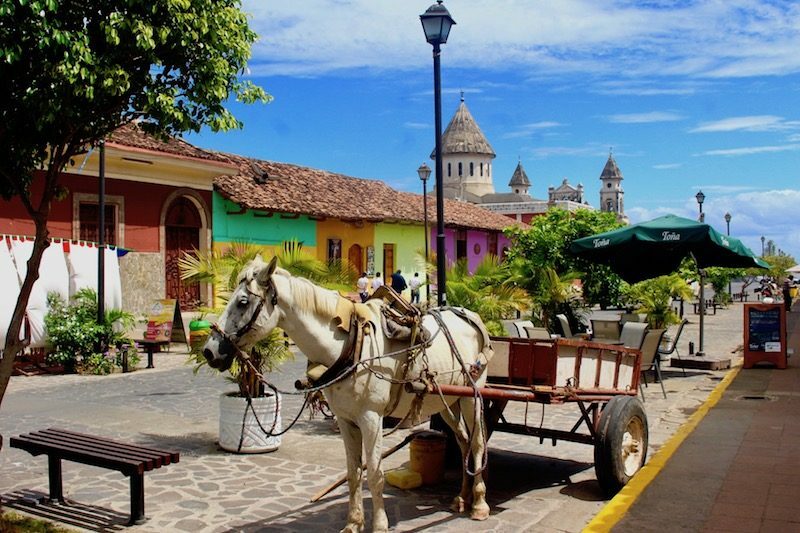 You can’t help but feel like you’re in another time in history when you visit Granada, Nicaragua. A local market sets up shop down the center of Calle La Calzada. Here you can purchase clothing, arts and crafts, tchotchkes and more. As I mentioned, Granada’s buildings are a rainbow of colors. They make an excellent backdrop for street photography. Much of the signage is in Spanish, and few people in Granada speak English. That makes for an authentic travel experience, in my opinion. I don’t mind it at all. I can speak a little Spanish, but after five days there, I was speaking more. If you stroll down Calle La Calzada, it gets quiet since the crowds congregate more in the center. 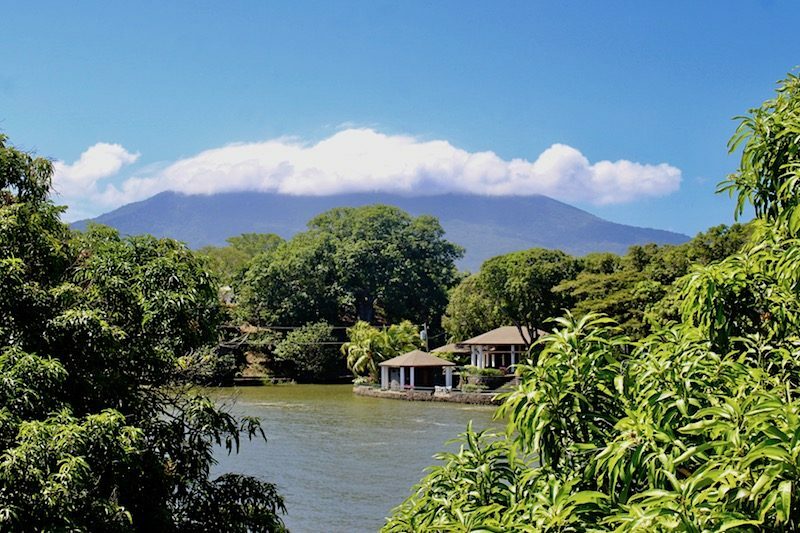 This photo is toward the other end (away from the park), closer to Lake Nicaragua. I found it pretty peaceful here. In the distance, you can see Guadalupe Church, one of the most famous in Granada. One of the highlights of my time in Nicaragua was the Granada cemetery. 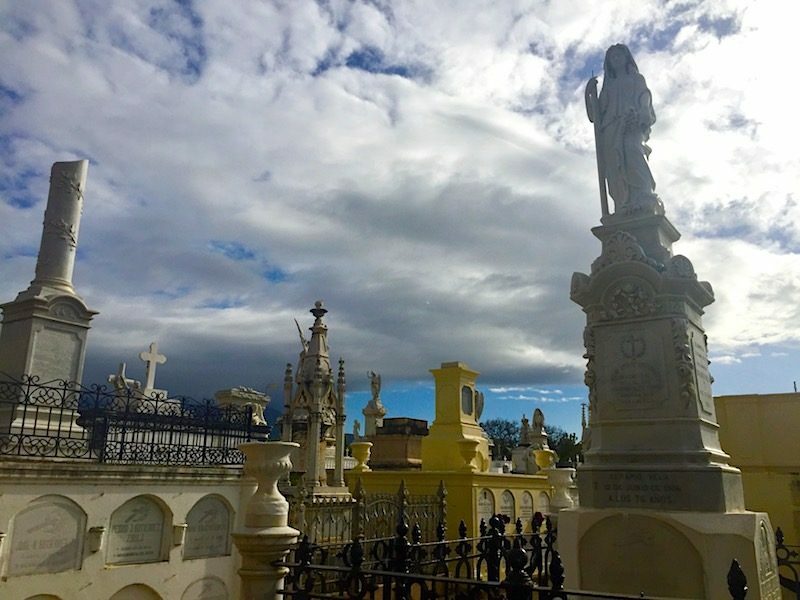 Marble tombs, sculptures, and mausoleums fill the beautifully sacred plot, which is supposedly the oldest cemetery in Central America. Believe it or not, the San Francisco Cathedral used to be painted baby blue and white. (I like this new color scheme more.) The convent houses a museum that tells the history of Granada. It follows the city from indigenous times to modern day. 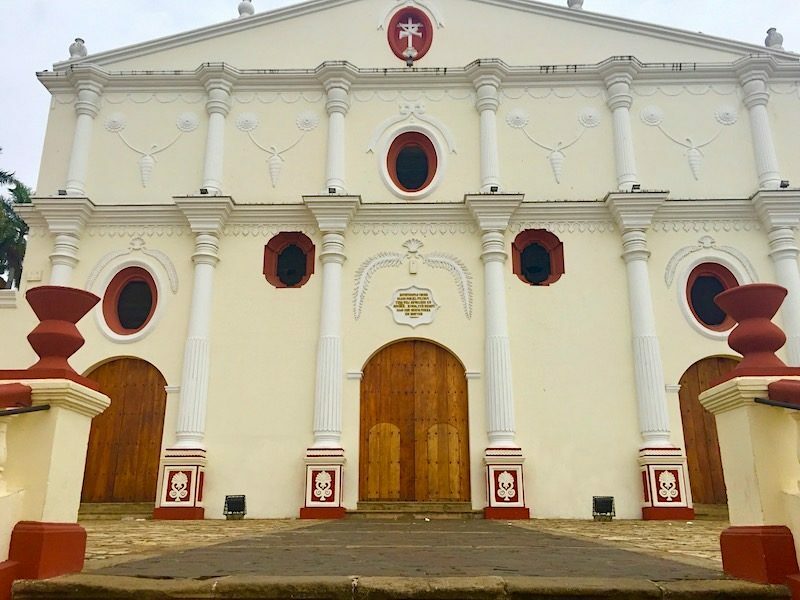 The church was constructed in the 16th century, but destroyed by pirates and later by William Walker. Rebuilt in 1868, the cathedral was restored to its glory in 1989. 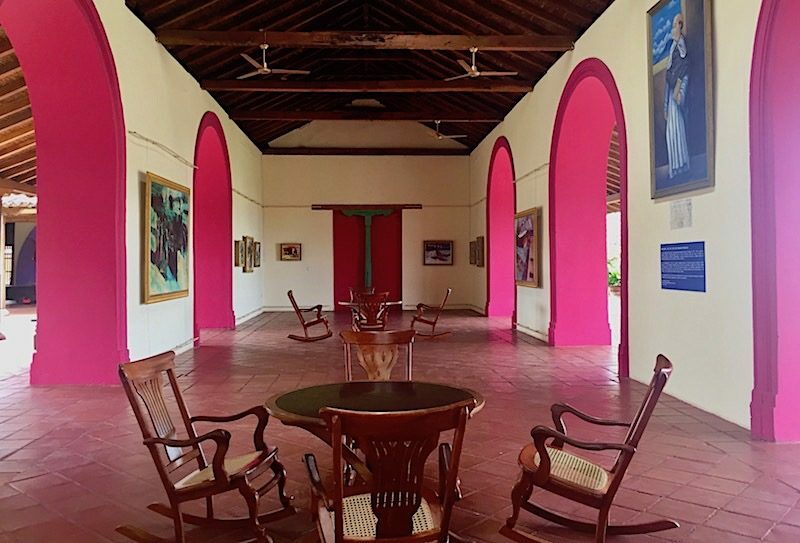 Step beyond the cathedral’s facade and discover a lovely courtyard and countless works of art. It’s one of the country’s must-visit museums. 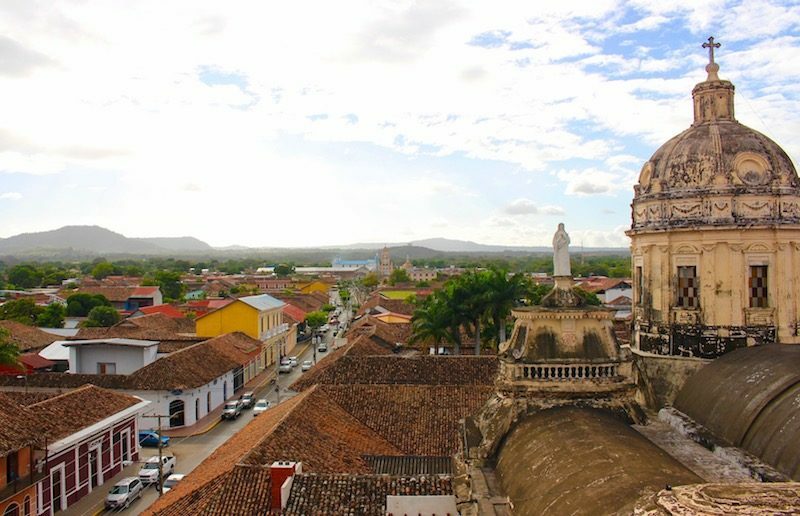 The best views of Granada can be had from La Merced Cathedral. Every angle affords an amazing city view. You can even see Mombacho Volcano. 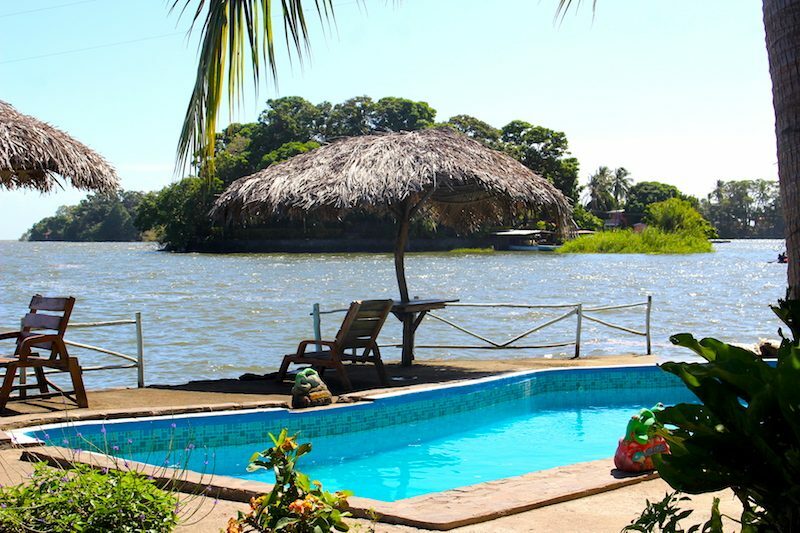 Las Isletas is a group of 360 islands in Lake Nicaragua. 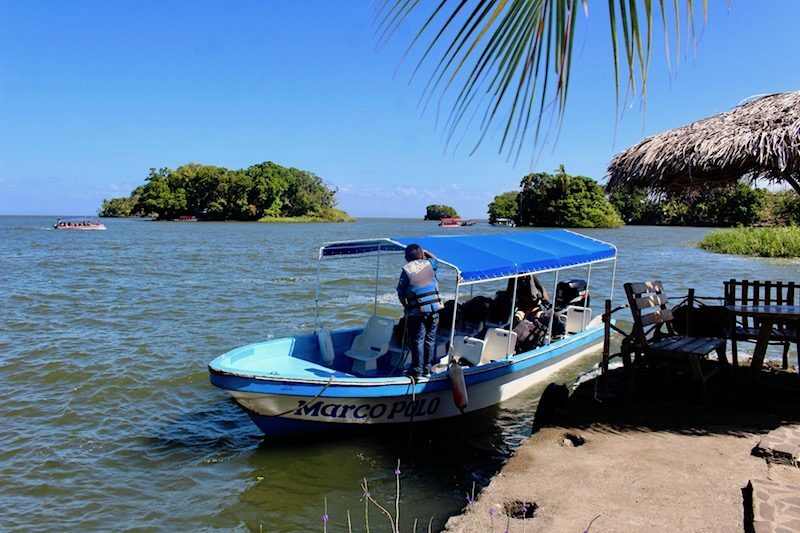 You can kayak or ride a boat and tour the isletas. I opted for the boat ride since I’m an inexperienced kayaker. About 1,200 people live on these isles. I noticed an island for sale for $360,000. Tempting! Here’s another view of the volcano from Las Isletas. I shot this from a higher point at San Pablo Fort, which is one of the islands. 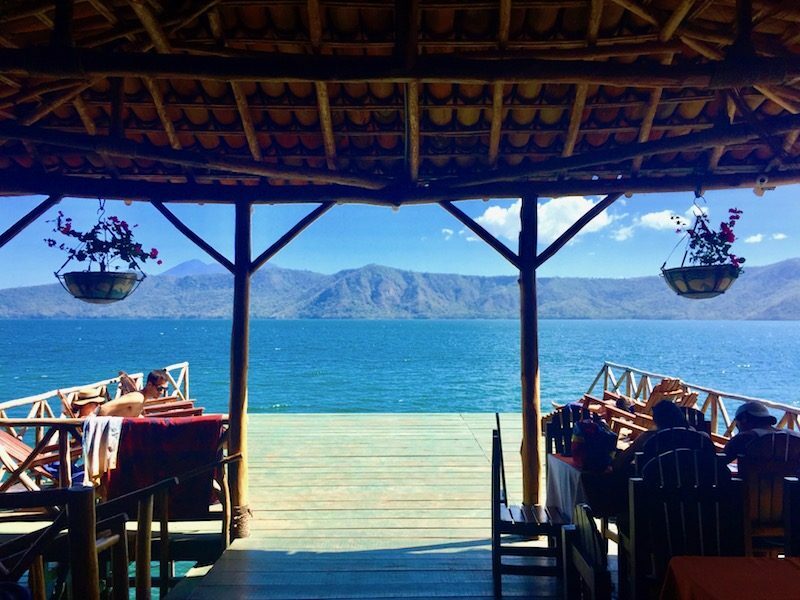 Although it’s not technically in Granada but in the Masaya Department, Laguna De Apoyo is a fantastic spot and easy to get to via taxi. It’s about 30 minutes or so from Granada. You can swim or sunbathe, and have lunch at any of the restaurants along the lake. I shot this from La Abuela. Wonderful spot! 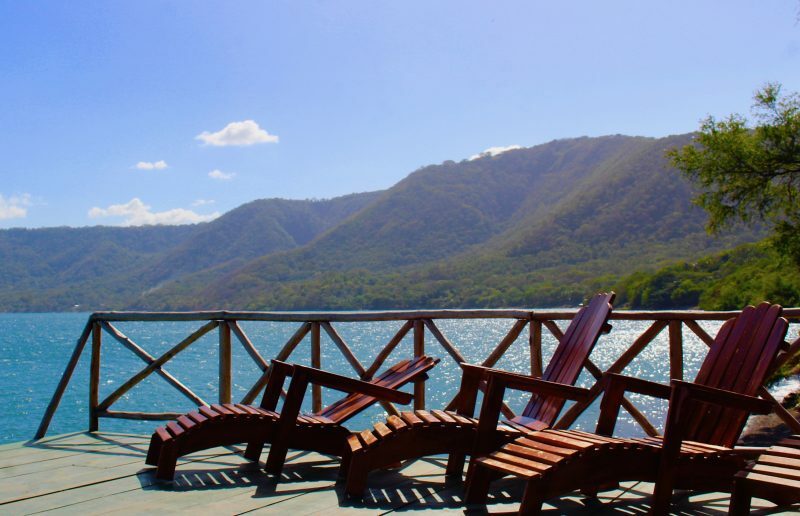 The lounge chairs await on the deck of La Abuela overlooking Laguna De Apoyo. If only I could be back there right now…. 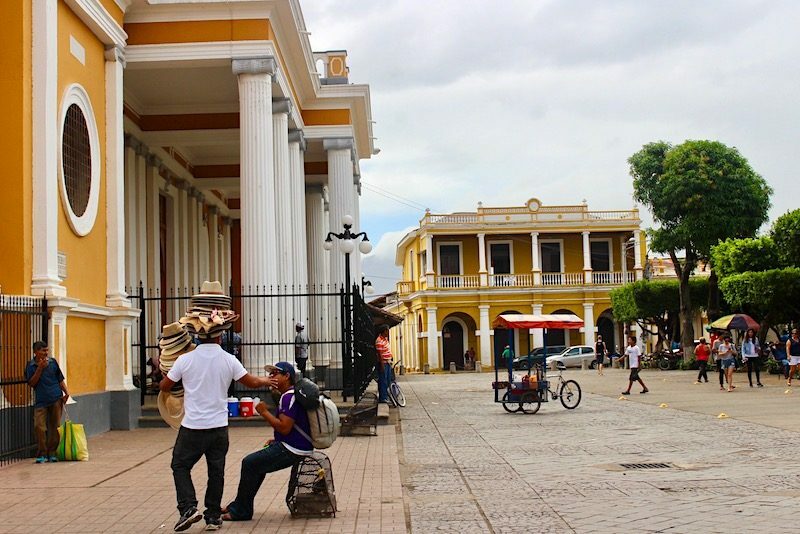 I really loved Granada, Nicaragua. I would love to return to this country and explore more. Read about my adventures in Costa Rica. Plus, a great recipe from a top chef in Puerto Vallarta.